If you've been reading this blog for a while, you know I dove head-first into the beauty world in early Spring. A far-off land I'd successfully avoided for years! Then I spiraled out of control... 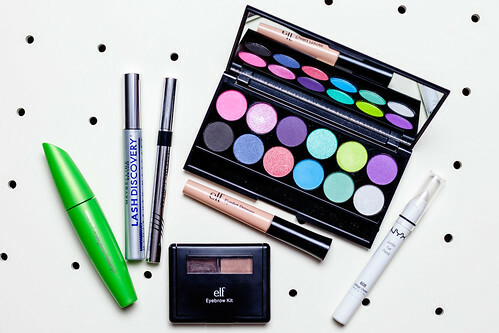 While spiraling, I came across the UK brand Sleek MakeUP. In June they released their limited edition Candy Collection and I added everything to my cart and checked out before I even had my eyes opened for half an hour. Someone send me a modeling contract, STAT! 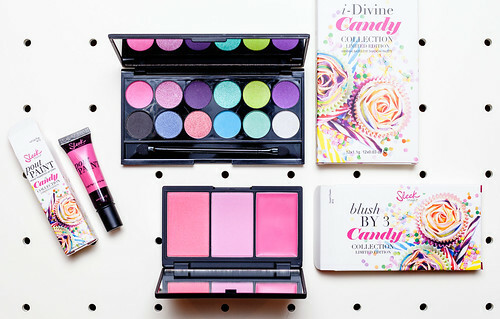 i-Candy i-Divine Palette: Not a single a chalky shade in this palette, they're all like butter with good pigmentation. They are lighter in application than in the pan, but can build easily (even more so over a cream base). As usual, you'll need to tap off any excess powder from your brush to prevent fallout, specifically with the matte shades. You're in luck because it's still available online! Lol-Lip-Pop Pout Paint: This surprised me with its cool tone, it leans way more lilac than it reads in the tube, when swatched on my arm, and in the promo photo. Honestly, I'll never wear it on its own because I don't think it suits me or my skin tone very well. On the plus side, the consistency is exactly like OCC's lip tars and they wear exactly the same for a fraction of the cost ($6.49). Lol-Lip-Pop has sold out but Sleek MakeUP sells eleven other awesome shades. Sweet Cheeks Blush by 3: Cupcake, the cream blush used in this look, is the perfect dark pink with the slightest hint of purple, so basically fuchsia. It can be sheered out with a stippling brush or layered if you prefer to be a doll look-alike. Also still available online. By the way, buy all of their blushes. They are all perfect. Step 1: Apply shimmery white base (Cottage Cheese) onto eyelid with finger. Step 2: Pat lilac shimmer on inner 1/2 of eyelid with an eyeshadow brush. 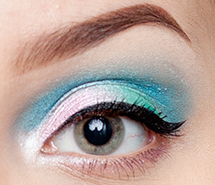 Step 3: Pat mint shimmer on outer 1/2 of eyelid with an eyeshadow brush. 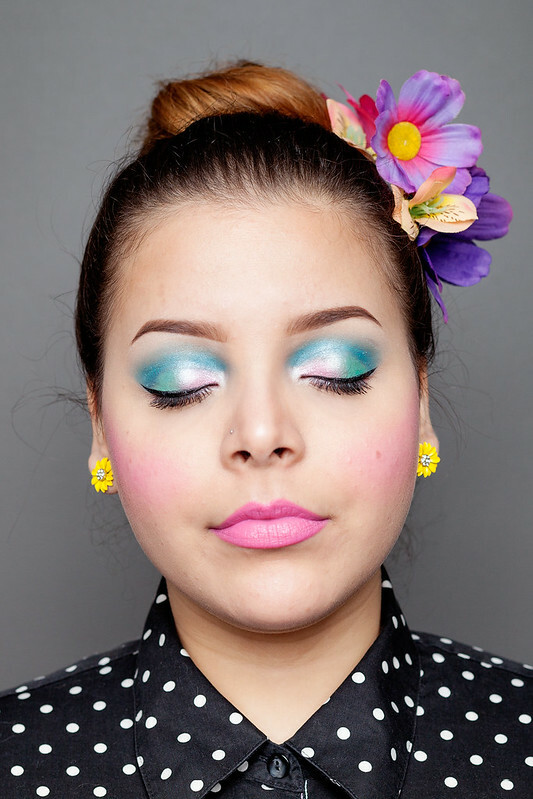 Step 4: Apply matte blue to crease, build, and blend upward with a blending brush. Step 5: Apply white shimmer as highlight to browbone and tear duct with finger. 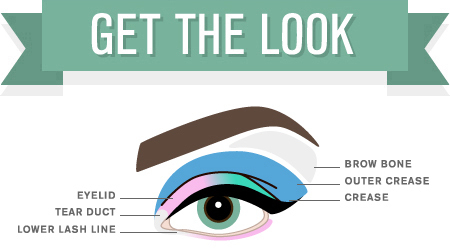 Step 6: Bring white down to inner 1/2 of lower lash line with a pencil brush. Step 7: Apply lilac shimmer to outer 1/2 of lower lash line with a pencil brush. Step 8: Give yourself wings! Hopefully you found this combo tutorial, review, and mini swatchfest useful! 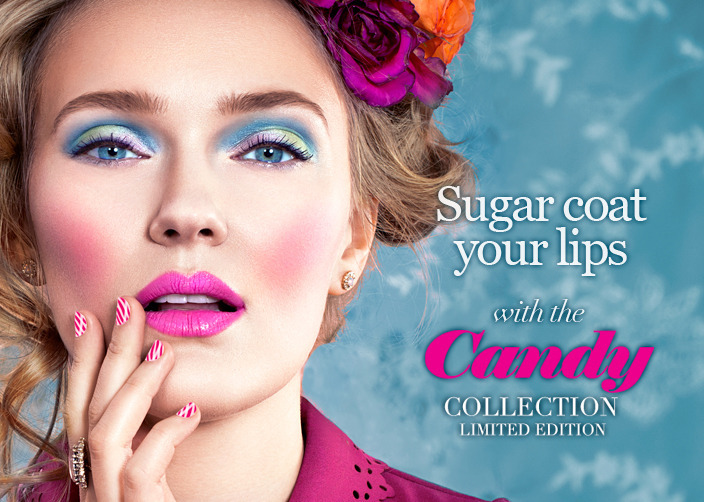 Let me know if you would like more swatches of the full i-Candy palette and Sweet Cheeks Blush by 3. Awesome! I'll definitely give it a look! I may or may not have just bought the eyeshadow and blusher palettes because of you. Js. You have to let me know how you like it (you're going to love it, duh)! I'm super impressed with the i-Candy palette because it has a nice mix of matte, satin and shimmer shades. I was afraid it would be too loud for me but they're actually nice and soft pastel-like. I forgot to mention Sweet Cheeks has three different finishes too. I love that they give you such a variety. And thanks! I felt like a ham applying so much blue, it's WAY out there for me, though 2006 me would be rolling her eyes at my collection of neutrals right now. why are you the most amazing? seriously, i love this! Guh! Now I want to go out and buy these, the colours look amazing, as do you! Thank you! You must nab them, ASAP! I'm not sure how long shipping to Australia will take but from the UK to the US took only 6 days. Super impressive. Buh, you always look so so gorgeous in your make-up face shots that I just die. This one is over-the-top amazing. In love! Thanks so much, I'm glad you like it! You definitely must buy this i-Candy palette. It's so fun!